The Breeders will release a new album in 2018, Kim Deal has said during a guest appearance on the 'WTF With Marc Maron' podcast. As Pitchfork reports, Maron mentions that a new album from the band will be released next year while introducing Deal during the podcast, and representatives for the band have also additionally confirmed news of the record. Amongst other discussions outside of the new album and her work with The Breeders, Deal reveals that Steve Albini contributed drums to two of the record's tracks. The news of the new album comes after the band recently shared their first new track in eight years, called 'Get In The Car'. 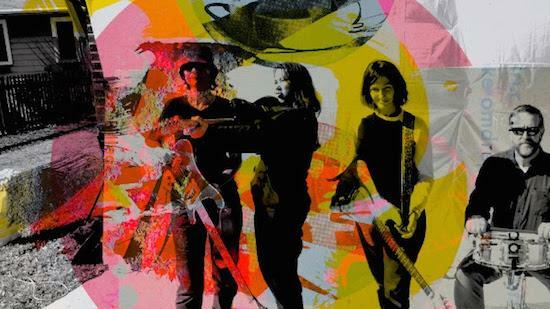 That track featured Kim and Kelley Deal, as well as Josephine Wiggs and Jim Macpherson - four of the five band members who played on their classic album, Last Splash, which was released in 1993. You can check out the podcast here - Maron reveals the existence of the new album at the 26.10 mark.